Is it hot enough for you? 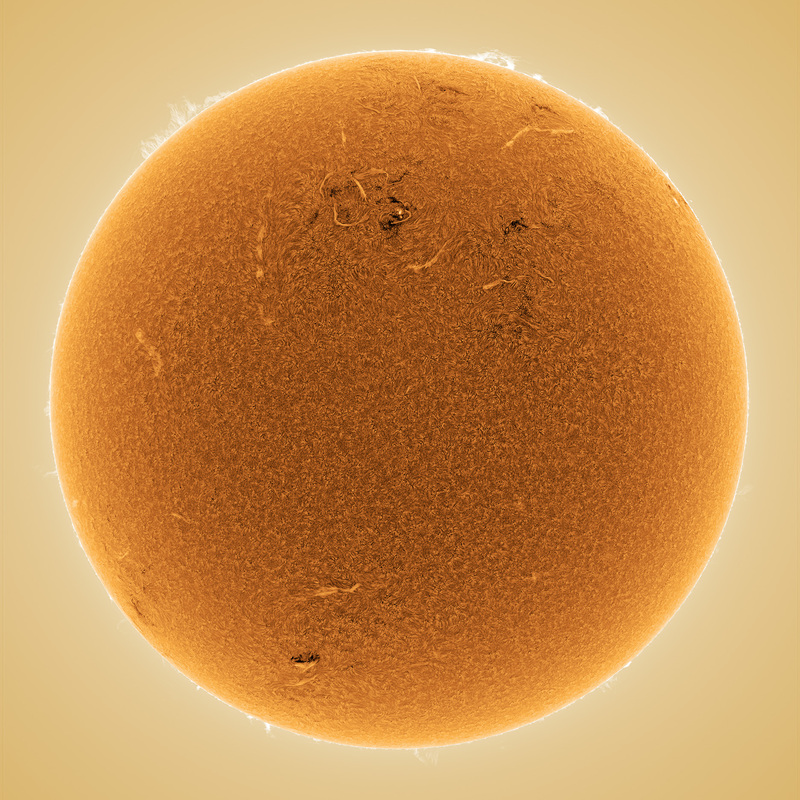 Our sun in hydrogen alpha light on a scorchingly hot Bastille day. A CaK disk was captured this morning as well. A week later, the heat wave had subsided and so had the good seeing. A close-up from July 14, 2013 can be found here.